Luxury Vintage Room Excellent Location! Property 16: Luxury Vintage Room Excellent Location! Lake Views and easy access to outdoor action. Property 17: Lake Views and easy access to outdoor action. 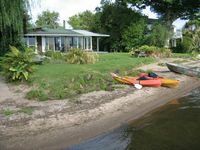 Property 27: The Love Shack luxury Lake Edge Escape. 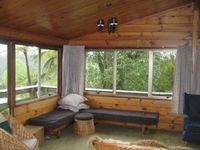 Property 38: Cosy, self contained unit. Property 43: Willowmere cottage - Absolute lake edge. Lakeside Gem - Style, views and comfort! Property 45: Lakeside Gem - Style, views and comfort! Stylish home with everything you could want! Property 47: Stylish home with everything you could want! Very comfortable &amp; well equipped place. The use of the jetty for the boat was a definite plus. Would look to stay here again.